After his early exit at Indian Wells, it looks like being a long, hard road for Novak Djokovic to get back to his glory days. Before his six month break from tennis to undergo and recuperate from elbow surgery, the Serb was the most dominant player around. He won four straight grand slam titles from 2015 to 2016, but at Indian Wells he showed little of that form as he was upset by Japanese qualifier Taro Daniels 7-6 (7-3) 4-6 6-1 in the second round. The Serbian, 30, who has won 12 slam titles but is currently languishing at 13th in the ATP rankings. Djokovic, who let a 5-2 lead slip in the first set, committed 61 unforced errors as he showed just how rusty he was. He has had great success at the Indian Wells, winning five titles, but this was his quickest exit from the competition since 2006, when he made his debut. To find the last time Djokovic lost a qualifier, you have to go back to 2008, when he crashed out in Miami. Even before the elbow problem worsened, his form had been waning during 2016, and he alluded to off-court issues. Reports at the time claimed his marriage had hit problems. But his biggest problem on the court was coming from his elbow, which eventually required surgery. Djokovic had soldiered on to Wimbledon 2017, where he reached the quarter-finals against Thomas Berdych but only managed to play two sets before pulling out. 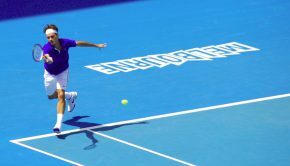 He then had the operation and did not pick up a racket for nearly five months before returning to training, and then playing in January’s Australian Open warm-up event in Abu Dhabi. For his first match against Dominic Thiem, Djokovic wore a sleeve over his troublesome elbow but beat the Austrian 6-1, 6-4. Even though Djokovic wasn’t at his best, he moved on to Melbourne, where he’s won six times, but lost in the fourth round to South Korea’s Hyeon Chung. There is one player that knows how it feels like to be out of the game injured, and that’s Juan Martin del Potro. Once seen as the next dominant force of the men’s game, the 2009 US Open winner was hit by numerous wrist injuries which slowed his progress. However, the Argentine believes that Djokovic will recover and get back to his best. The next tournament for the Serb will be the Miami Open (March 21 – April 1). Djokovic is a six-time winner in Florida, so this is clearly one of his happier hunting grounds. 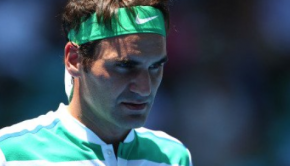 Furthermore, with two of Djokovic fierce rivals, Andy Murray and Rafael Nadal out injured and still recuperating, and only Federer of the ‘big four’ in action, it’s a great time for the Serb to be playing if he can regain something like his top form. 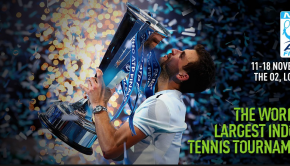 But his defeat in Indian Wells suggests this is some way off, so the younger generation – especially players like Alexander Zverev ranked 5th and Thiem who’s ranked 6th – will fancy their chances. Will we ever see the Djokovic of old again, the modern great who combined a powerhouse physical presence and amazing stamina with sublime skills? As he approaches his 31st birthday in May, maybe we have seen the best of him, but he’ll be fighting to prove otherwise.